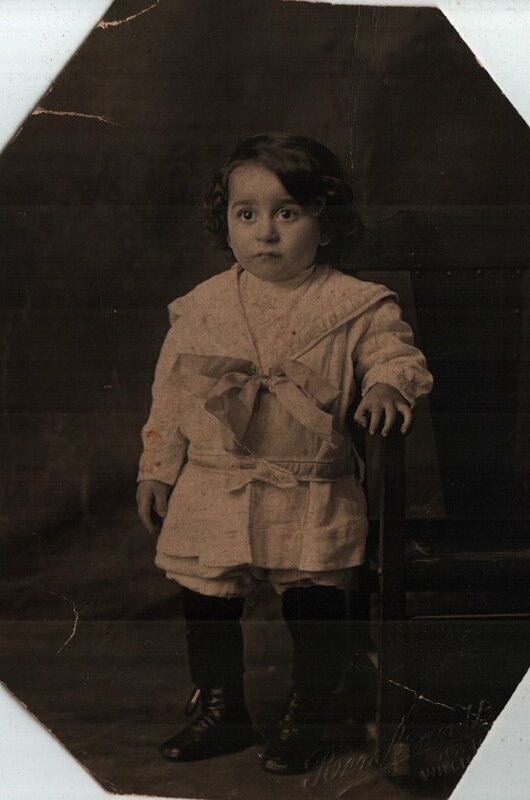 Mabel Mary SABA22 (Fadlou and Rose / Michael and Talgie) was born on 11 Jan 1908 in Windham, Windham, Connecticut, USA, died on 18 Dec 1919 in Windham, Windham, Connecticut, USA at age 11, and was buried about 21 Dec 1919 in Old Willimantic Cemetery, Willimantic, Windham, Connecticut, USA. The cause of her death was Appendicitis/Septic Meningitis. Mabel, the twelve year old daughter of Fadlou Saba died this morning at St. Joseph’s hospital from meningitis. She was a pupil of the sixth grade of the Natchaug grammar school and was the oldest of four children. The other children are Edward, Alfred and Phosy Saba. The body was taken in charge of Killourey Brothers and prepared for burial at their rooms, No. 36 Union street and then taken to the Saba home, No. 75 Milk street. The funeral arrangements have not been completed. Source: Willimantic Chronicle dated Thursday, 18 December 1919.